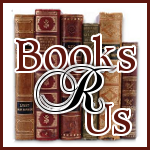 I would like to welcome an up and coming author Sherri Wilson Johnson to Books R Us. Sherri is the author of To Dance Once More. Thanks for stopping by. Hi! I am Sherri Wilson Johnson. I write heart-warming Inspirational fiction (Historical and Contemporary) that challenges readers to have faith even in life's most difficult of storms. Pure Romance is usually the main theme of my books but there is so much more to them than just that. I love to sprinkle in suspense and mystery, as well. Although my primary focus is ministering to women readers, I am a former homeschooling mom so much of what I write is suitable for the Young Adult market. Writing has been a hobby of mine since I was a little girl. As a young adult, I began writing Inspirational Romances, which quickly became my favorite pastime and grew into a calling. My debut novel, To Dance Once More (OakTara), is set in Victorian-era Florida, bringing the romance of the beach, Victorian times, and debutante balls together (some of my favorite things). I hope to prove that true love still exists and that it is worth the wait. I never shy away from speaking candidly of the purity of not only the heroine but of the hero, as well, because I believe in today's world, we need to encourage both men and women to live pure lives. Writing is so much a part of who I am that I must use it to share what I am passionate about. I desire to point others to Jesus through my words. Several things inspired me to write To Dance Once More -- my love of the beach, Victorian times, romance, and purity. But it takes little inspiration at all to make me write. I would write 24/7 if I could and often forget to eat when I'm heavy into my work. Becoming a published author has been a life-long dream and although getting that coveted contract was a long process, I can say it was totally worth the wait. For years I submitted manuscripts to publishers and agents. Looking back, those manuscripts and even the proposals were sloppy. But after taking a two-year writing course through the Christian Writers Guild, my writing improved and so did my submissions to publishers. Eventually, I received the contract from OakTara and what an exciting day that was. My next book, Song of the Meadowlark (OakTara), will be out in May 2012 and the sequel to To Dance Once More should be out by the end of 2012. I am also polishing a third novel, After the Raging Storm, and working on a legal mystery and a sequel to Song of the Meadowlark. In addition to fiction, I also write homeschool resources and Bible studies, which I self-published, and are available on my secondary website www.sherrijohnsonministries.com . Where to Purchase the book. Wow your personal story is inspirational in itself! What an amazing way to spread love! I hope to get a hold of one of your books because I am in sore need of something uplifting right now. My hubby and I are one of those pure love romantic stories. I forget and I shouldn't take it for granted how good I really have it. Thank you for reminding me of what's truly important! I pray that you touch many more people on your journey!